In a non-stick pan over medium heat, sauté the cheese cubes in half of the olive oil until golden brown, just a few seconds on each side. Reserve in a bowl. 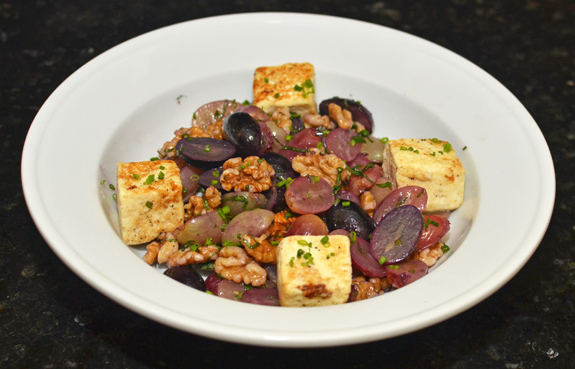 In the same pan, sauté the grapes in the rest of the oil for one minute, stirring constantly. 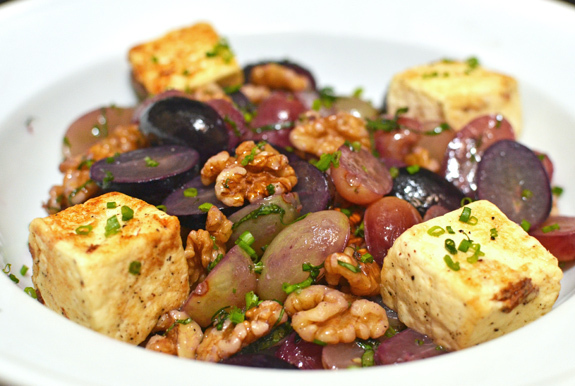 Transfer the grapes to the bowl, and add the walnuts, chives, and basil. Season with salt and pepper, and toss until combined. Serve immediately.